Jordi Pascual and Denis Kramar, the winners of Minguella Challenge, started a trial with Spanish 2nd division club Girona. Take a look of some memorable moments from a first couple of days in Spain. Jordi Joan Pascual Quiroga, a 19 year old Argentinian with a Spanish passport and Denis Kramar, 22 year old Slovenian defender, travelled to Barcelona on Friday and already had a very eventful weekend. 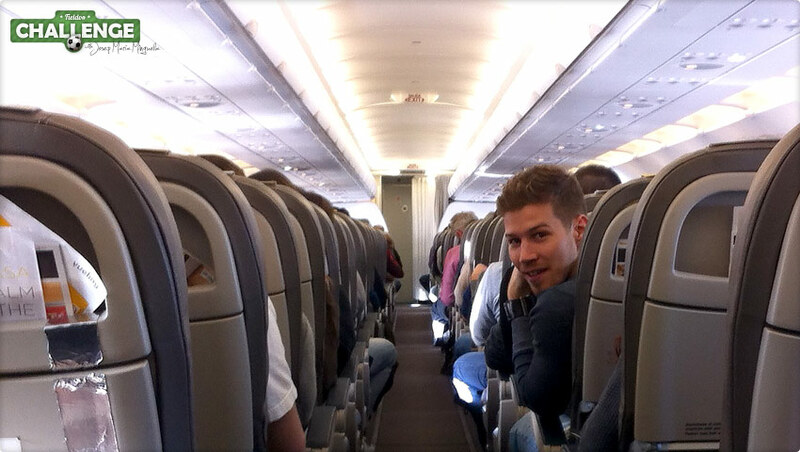 Denis who already played in Slovenia, Poland and in Cyprus was flying towards his Spanish Fieldoo experience. 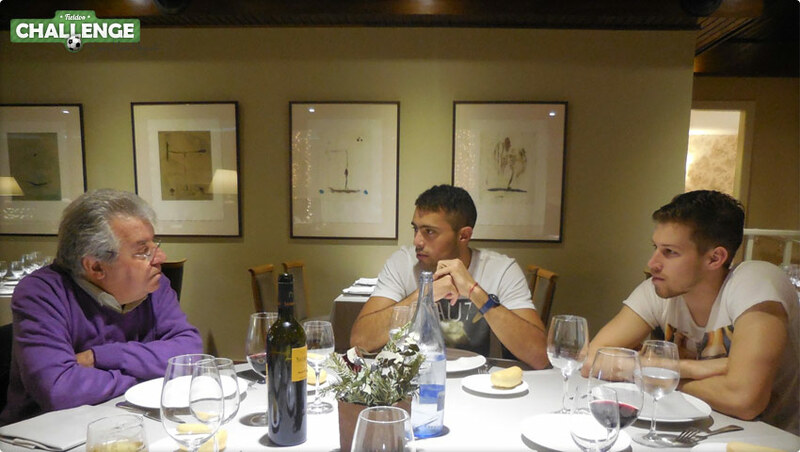 After an hour of waiting on an airport he met his co-winner Jordi Pascual (left) and was presented to Txus Prio (in the middle), business partner of Josep Maria Minguella. A short trip from the airport and two football players met Josep Maria Minguella Junior, a person in charge of Business Fútbol España, an agency that will be representing both Fieldoo winners. Denis and Jordi were more than excited to meet a true legend in the world of football agents. Josep Maria Minguella represented Maradona, Stoichkov, Rivaldo, Romario, Guardiola and is a person who discovered Leo Messi. 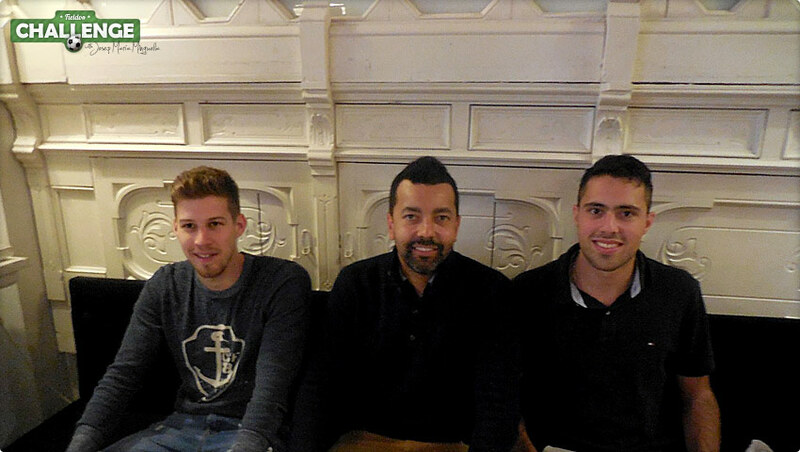 Mr. Minguella picked Jordi and Denis among more than 5.000 applicants of Fieldoo Challenge, took his time to take them to lunch and talk with them about their dreams and football. 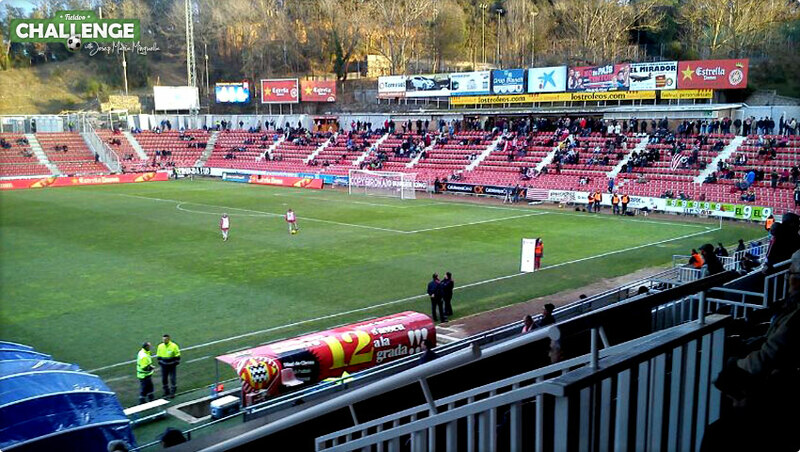 Girona FC is playing in Liga Adelante and is planning to strengthen the team with a striker and defensive player. Jordi and Denis went to see a match between Girona and Ponferradina that ended with a draw. Oriol Alsina is a sports director of Girona, a club where two players from Fieldoo will help to score more goals and concede less. 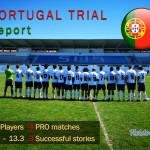 Fieldoo wishes them all the best in the rest of the trials. 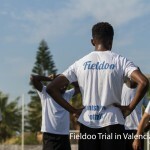 Fieldoo is already preparing new challenges and trials with various partners for the next transfer windows, so as to provide as many footballers as possible to get an opportunity to show their value in the most exciting football leagues worldwide.